Though Apple will be bringing production of one full Mac lineup to the U.S. next year, it's likely that the primary supplier will be Taiwanese company Foxconn, which is planning an expansion to America. Analyst Amit Daryanani with RBC Capital Markets said it's unlikely that American companies will handle stateside assembly for Apple. He specifically mentioned Flextronics International Ltd., which was originally founded in Silicon Valley in 1969 but is now headquartered in Singapore, and Jabil Circuit, founded in Detroit, Mich., in 1966 and now headquartered in St. Petersburg, Fla. Both companies are already component suppliers to Apple, but Daryanani doesn't believe either of them will become assembly partners in America, as in recent years both Flextronics and Jabil have been shifting their focus away from assembly of consumer-centric products. Instead, Flextronics and Jabil now focus their attention on high-mix and low-volume manufacturing sectors, such as healthcare and medical supplies. On the consumer side, Jabil and Flextronics are moving toward value-added components, where Daryanani noted engineering can be a differentiator. While some American companies are moving away from manufacturing of consumer products, a Foxconn official indicated this week that the company is looking into an expansion to the U.S. A spokesperson for Foxconn said that its partner shave requested more products be built stateside, though the Taiwanese company declined to name specific clients. 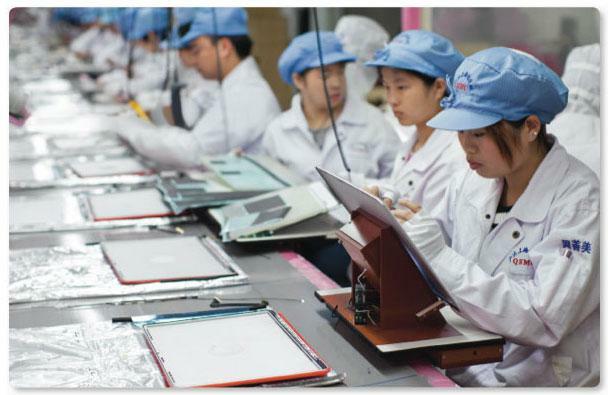 Daryanani sees Foxconn as the most likely supplier for Apple's U.S.-based manufacturing. He noted that the company already has a few assembly and enclosure sites established in the U.S., with sizable manufacturing locations in Houston, Tex., Industry, Calif., and Indianapolis, Ind. He also noted that while Apple has a number of key suppliers, the company's manufacturing has been largely done by Foxconn, which would make switching away from its partner a difficult transition. "They have been an integral part of AAPL's supply-chain and have managed AAPL's supply-chain for multiple products, making them better positioned to handle such a transition," Daryanani wrote. Apple revealed this week that the company will spend $100 million to bring production of one full line of Macs to the U.S. next year. Apple CEO Tim Cook told NBC's Rock Center that the plans have been in the works for years. "We could have quickly maybe done just assembly, but it's broader because we wanted to do something more substantial," Cook said, suggesting Apple's domestic manufacturing plans will go beyond simply assembly and will include parts.